At the European Economic and Social Committee’s Space & Society Conference, from left, Daniel Calleja Crespo, director general of European Commission’s DG Growth; EESC Space and Society Project Coordinator Edgardo Maria Iozia, and Giulio Bartolani di Montauto, European Space Agency’s Brussels office. Reporting from Brussels last year, we explained that the then–brand new EU GNSS Regulation had effectively put to bed years of wrangling over who does what in Europe’s GNSS programs. But the issue reared its head again in Brussels recently, in a highly charged discussion hosted by the European Economic and Social Committee (EESC). 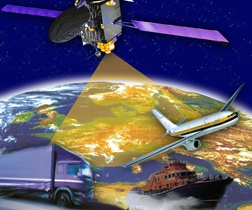 Last January, the European GNSS Agency (GSA) announced a new invitation to tender for the role of Galileo service operator (GSOp). Speaking at the recent EU Space Policy Conference in Brussels, GSA Executive Director Carlo des Dorides called it the largest contract ever to be awarded under the Galileo program. “It will shape the future of Galileo,” he said. Some of the specific technical issues behind the latest delay for Galileo’s first full operational capability (FOC) satellites have already been reported. The story, as it is told, generally starts with a late navigation payload delivery by British firm Surrey Satellite Technology to the German prime contractor, OHB. Next, OHB ran into issues with the payload and the platform, further stretching out the timeline. Honestly, one gets the feeling that the European navigation community has finally had enough of talking and is ready to take Galileo out of the hands of politicians and put it into the hands of users, including businesses that can translate European GNSS into real products and services to be bought and sold. The feeling has certainly been growing within the European navigation community, as evidenced by the conversations at the recent European Navigation Conference (ENC) in Vienna.